An adjustment is performed by the chiropractor with their hands. It is a specific force applied to a restricted joint. Patients will often hear an audible pop or click which is carbon dioxide gas being released from the joint. 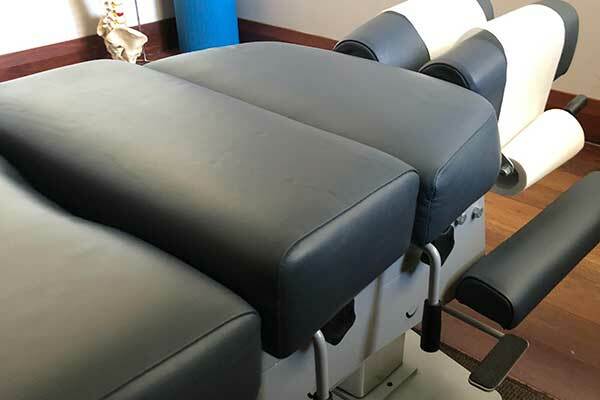 Drop piece is an adjustment technique using the chiropractic table whereby the chiropractor will lift up a segment of the table using a lever. The chiropractor will then place their hands over a restricted joint and apply a gentle force downwards. This gentle force will cause the table to return to its starting position. This is designed to restore movement and doesn’t have an audible pop or click. Dry needling is also known as anatomical acupuncture. 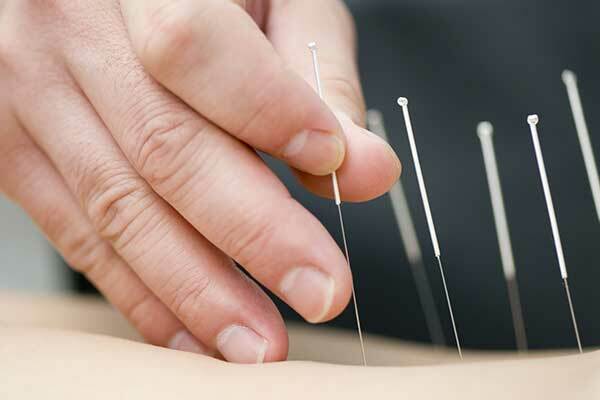 It involves using a single-use, disposable, very fine needle to alleviate muscle pain and tightness. The needle is inserted into the muscle where there are trigger points (knotty, tight bands) allowing the muscle to lengthen and relax. An activator is a spring-loaded adjusting tool, designed to gently increase movement into a restricted joint. It is very effective for young infants, children, the elderly, pregnant mothers and patients would prefer not to hear the pop or click. 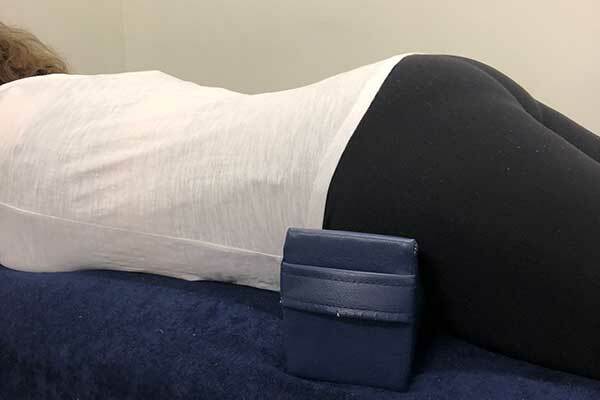 Also known as trigger point therapy or soft tissue therapy involves the chiropractor using their hands to release tension, inflammation and swelling in muscles, tendons and ligaments. Blocks are specially designed foam wedges which are placed under the patient’s pelvis at specific positions. These are designed to alleviate pressure on restricted spinal joints, associated muscles and discs. Patients will remain lying in this comfortable position for a few minutes. Involves the chiropractor using their hands to increase the movement of restricted spinal and other joints in the body. This treatment doesn’t have an audible pop or click. 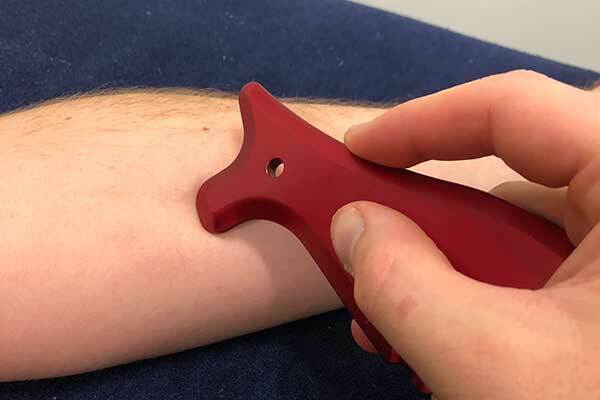 Uses a precision cut special metal tool which is applied to muscles, tendons and ligaments to help reduce scar tissue and adhesions, therefore, reducing pain. 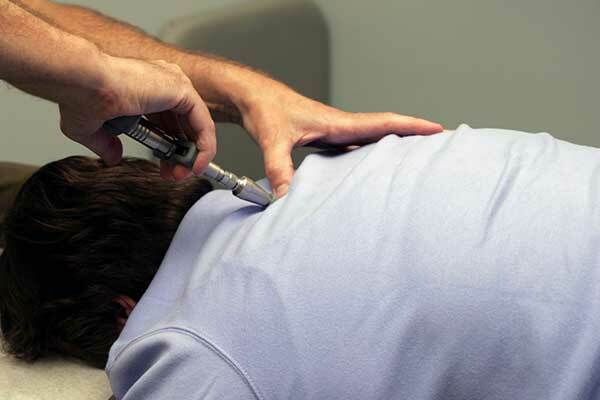 Involves the chiropractor instructing the patient to perform specific, tailored exercises. These are designed to strengthen areas of weakness, improve flexibility and increase mobility. The aim of rehabilitation is to reduce the chance of reoccurrence of the same condition. 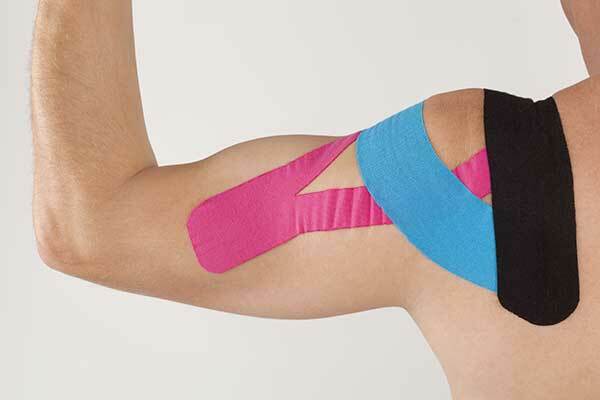 Rigid taping, also known as sports taping is designed to stabilise and support joints which have been previously injured and are undergoing rehabilitation. Kinesio taping is applied to specific muscles to increase the body’s awareness of their activation and to decrease swelling. HICAPS machine allowing for on the spot claiming for chiropractic services if you are covered for chiropractic care. DVA referrals are accepted with no out of pocket expenses (requires a current GP referral).